Posted on November 15, 2016 by Katrina C.
For years, I’ve used the same brand of cosmetics. It took trial and error to find the right combination for my complexion and skin tone. So when my favorite lipstick was recently discontinued, I drove from drugstore to drugstore to stock up. Thankfully, cosmetic manufacturers understand the importance of consistency and color matching and work hard to keep consumers happy. Measuring cosmetic color pigments is essential for creating quality formulations that consumers can depend upon—and spectrophotometric technology not only simplifies this process but ensures replicable quality every time. Due to their water solubility, cosmetic color pigments make up the majority of colorants used in decorative cosmetics. The two main types of colorants are organic and inorganic pigments, which are available in an assortment of combinations that can differ greatly in both texture and appearance1. While color perception of these pigments varies based upon individual observation, repeatable color formulations depend on instrumental analysis to quantify color data. Light source (natural or artificial), reflective value, and opacity all affect the visual appearance of these products, making color control standards imperative. Monitoring color stability is also an important step, as even the slightest changes in heat or chemical formulation can affect the finished product. Spectrophotometers offer continual monitoring throughout production to provide data on even minute changes in color, helping avoid costly errors in final color outcome. This information is then numerically quantified and used to aid in repeatability and formulation. Organic and inorganic colorants are available in both powdered and liquid form. Since quantification of these pigments depends greatly on the appearance and/or texture of the colorant, choosing the right method of color evaluation is imperative. Spectrophotometers provide accurate color data by measuring spectral reflectance at precise illumination and detection angles to determine exact color information in cosmetic pigments. This data “can [then] be used for acceptance testing, design purposes, research, manufacturing control, and quality control”2. But to meet these standards, analysis must be obtained by controlling illumination and observing samples at various angles to develop specific color tolerances. This formulation data can then be stored and utilized repeatedly to ensure color quality and consistency. Since reflectance and absorption values vary based on sample type (liquid or powdered), understanding the versatility of your color measurement instrumentation is also necessary for achieving desired results. 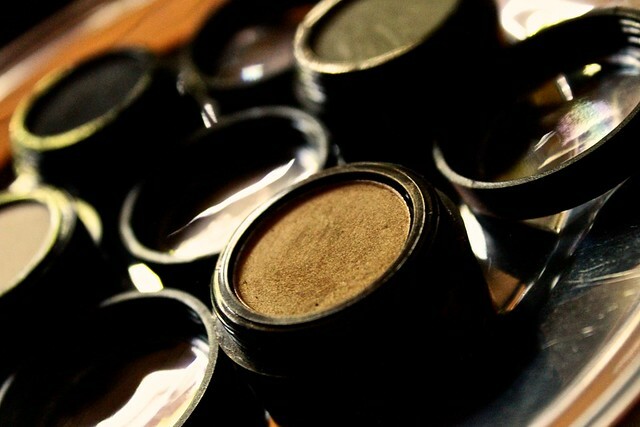 Raw pigment powders, for example, are often measured to ensure lot-to-lot consistency as well as color accuracy of the final powder-based cosmetics. Using a Directional 45°/0° reflectance geometry is preferred here because it most accurately represents human color perception3. But liquid pigments and/or cosmetics display higher levels of gloss and reflective value. Choosing the right geometries to counter-balance the appearance of these elements can increase the accuracy of color data. Non-contact measurement instrumentation is often the preferred choice for cosmetic color measurement in this case because it can evaluate pigment dispersion without any added barrier interfering with the visual data of the sample. State-of-the-art spectral technology offers the versatility required to address the challenges of cosmetic color pigment analysis. HunterLab is a leader in innovative color measurement instrumentation, and over the years, we have worked with leading cosmetic development professionals to engineer spectrophotometric technology that meets the needs of the industry. Not only do our design elements accommodate the many variations in pigment standards and analysis, but we also provided the highest level of support to ensure you get the most out of your color measurement instrumentation. We are here to offer you the information you need to gain an edge in a competitive market. To learn more about the many product options we have available, contact us today.